Our school philosophy considers the education of young people as a priority. Thus, we pursuit to instill core values through golf practice. We believe that once achieved in youth, values will be remembered for ever. 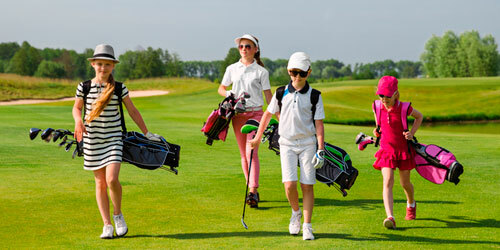 Our aim is make the pupil feel his passion for the golf play, enjoying it with friends, learning and taking part of our club activities. Groups: 10h to 12h and 12h to 14h. Outings to the golf course: 15 to 17h.